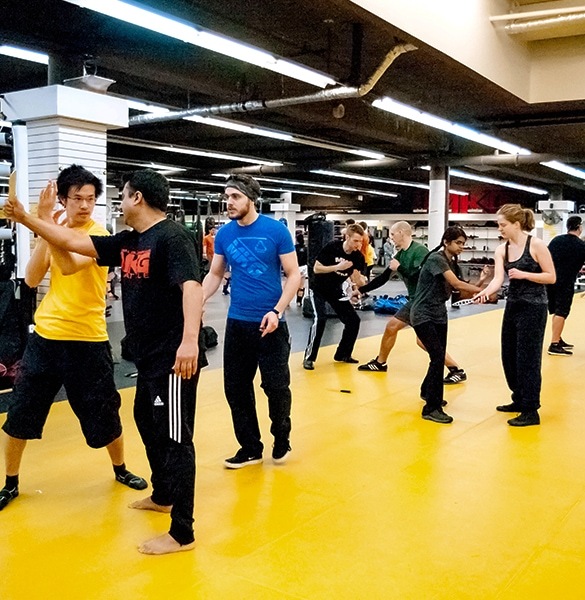 Bruce Lee's Jun Fan Jeet Kune Do in Seattle at MKG Martial Arts. We are a Jeet Kune Do based school. Classes and instruction in Bruce Lee's method of scientific streetfighting is an integral part of our weekly training. Learn more then contact us below at 206-789-2411.  Bruce Lee’s Jeet Kune Do philosophy is the guiding principle behind the entire curriculum and teaching method of the Minnesota Kali Group school in Seattle. 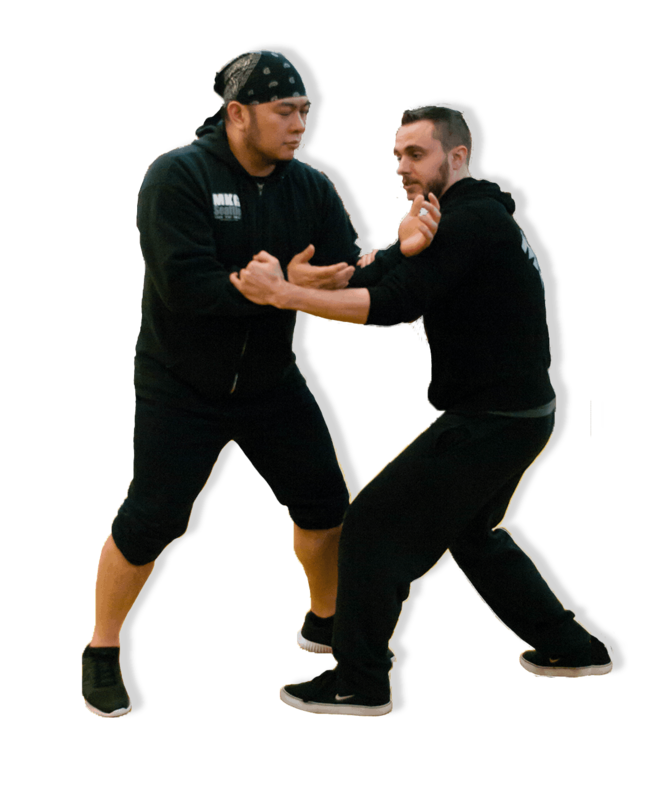 The developmental exercises, drills and training methods of both the Jun Fan kickboxing and Jun Fan Gung Fu are great for any martial artist and an important building block for your personal art. Bruce Lee and his partner Dan Inosanto electrified the martial arts world in the late 1960s and early 1970s. The art created by these martial arts innovators had many roots and different influences. As they pieced the elements together that suited them best, the art that emerged from their research was a compelling and completely new system of training. The use of boxing tools like focus mitts and speed bags, mixing trapping and grappling methods and taking the best techniques and training methods from each art they studied made this art a dynamic new system. They sought to eliminate the strict, stylized training that was common at that time and let each student find his/her own way. Elements that would suit many types of students and allow the practitioner to defend against all types of opponents were included and developed. Bruce Lee’s personal system, Jun Fan Jeet Kune Do, is known for its economy of motion and integration of arts and ranges. Natural attributes such as coordination, timing, speed, endurance, strength, and agility are improved by the innovative teaching and training methods developed by Bruce Lee, and preserved and taught today by his protege, student and training partner, Dan Inosanto. JKD/Jun Fan teaches the means to effectively pursue the most direct line of attack. Once an attack has been launched there are no breaks or interruptions. As one technique nears completion, it starts to blend into the next and continues on in one flowing motion until the conflict is resolved. 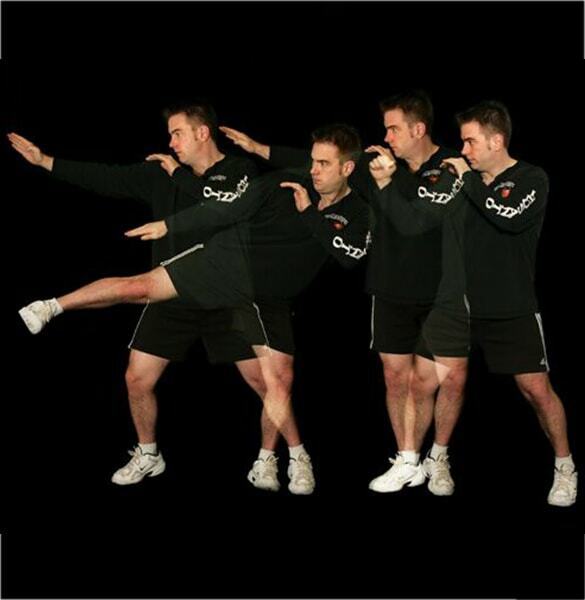 Our classes focus on the skills and techniques essential for a martial artist to be capable in each range of combat. Bruce Lee’s system focuses on ensuring the martial artist has functional techniques, tactics and training methods and the ability to continually develop within the arts. As a result, you’ll be hard pressed to find a more effective art for your personal Self Defense capabilities. Bruce Lee’s ‘attributes’ theory created a system where each person can realize their potential regardless of age, ability, size or gender. The exact curriculum taught by Bruce Lee and Dan Inosanto can be found in the Jun Fan and Phase classes. 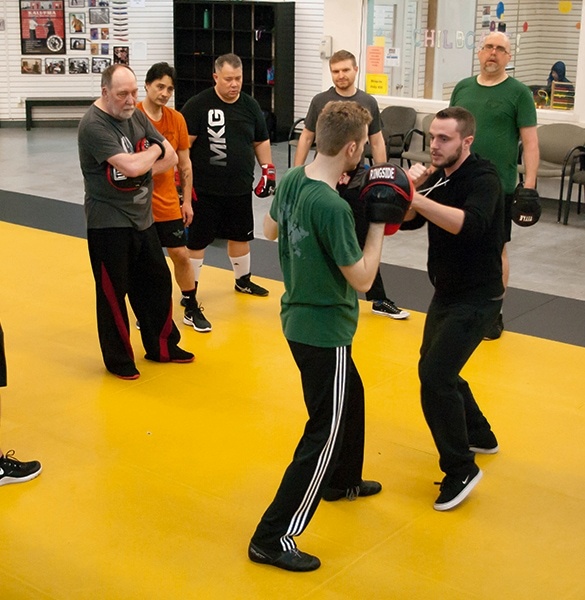 The JKD philosophy will be found in every class offered at the Minnesota Kali Group as it provides the guiding principles of the Minnesota Kali Group. All instructors are certified in a direct lineage to Bruce Lee. This emphasis forms the base for the teaching and training theory of the Minnesota Kali Group. The practical nature of the art is appealing while the depth of possibility provides potential for lifelong study. Regular discussion of tactics and principles are a part of these classes. 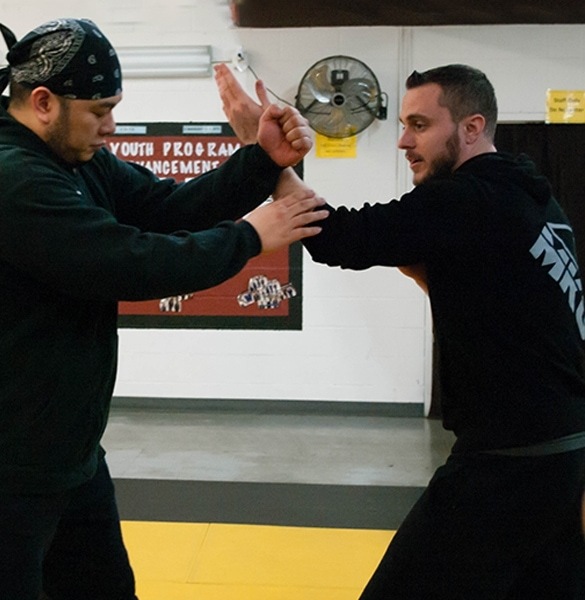 An emphasis on the groin kick and eye jab makes for streamlined self-defense tactics. Conceived by Bruce Lee as “scientific street fighting.” The art is simple, direct and non-classical.